Life change creates opportunities; See, And So It Ends, post in What Are You Smoking. I'm selling what you see in the pictures below. I won't be piecing it out, it's all or nothing but I'll try pricing to to make it hard to pass up. 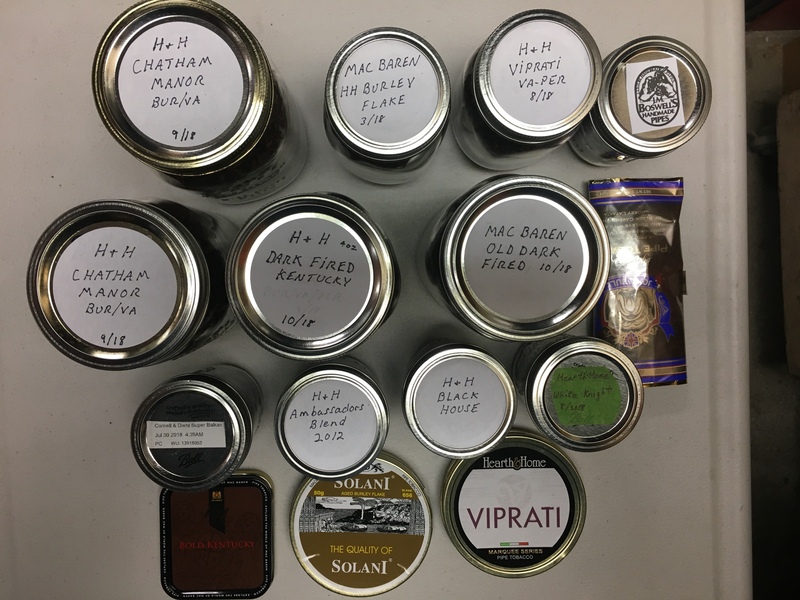 All the pipes are lightly smoked, some only 2 or 3 times, (there's one Lorenzo that's the only exception...good bowl but bite marks on the stem) and a few are unsmoked, Stanwell, Brebbia, Lorenzo, Grabow, BC, Thermofilter, Well, Big Ben, MM. There's about 1 1/2 lbs of tobacco but I haven't bagged and weighed it all yet to be sure...maybe more. I'm going to let it all go for $350 shipped; that's about $15 a pipe and I'm throwing in the tobacco. You might consider asking someone to sell them for you on Ebay for a commission. 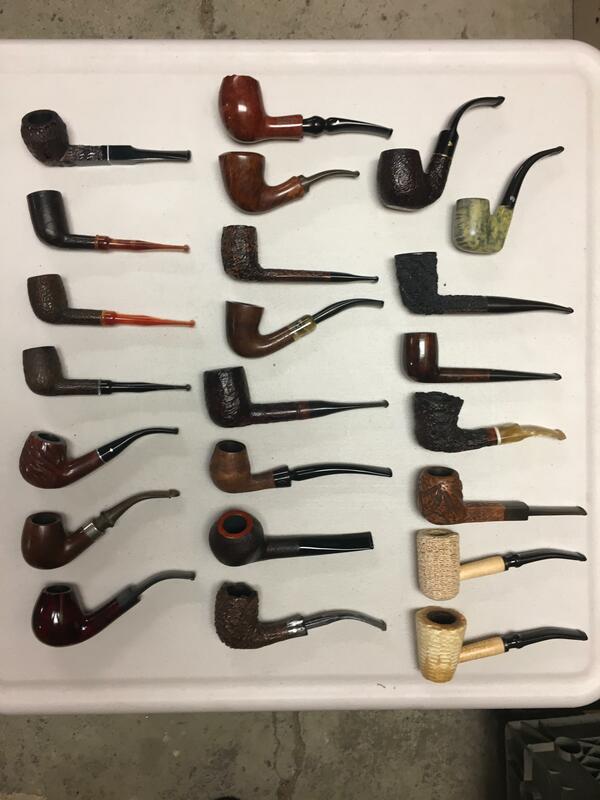 I have never sold a pipe or even sold anything on Ebay, so I am not a good candidate for this, but there might be someone on the forum. That would let you make one shipment and focus on other things. I am not much help with the sales bit, but I will be praying for you. Nah, I think it's a good deal, it just came on the heals of Christmas. I'm still digging to the bottom of my sock drawers for loose change. You'll get an offer eventually, might take a minute tho.